In a mixing bowl, combine peaches with the amaretto, syrup, and ginger. Melt butter in a 9x13 casserole dish (or similar capacity) in the oven. Combine milk, flour, sugar, baking powder, and salt and stir until smooth. Pour flour mixture over the melted butter. DO NOT STIR. Pour peaches and their liquid over the batter. DO NOT STIR. 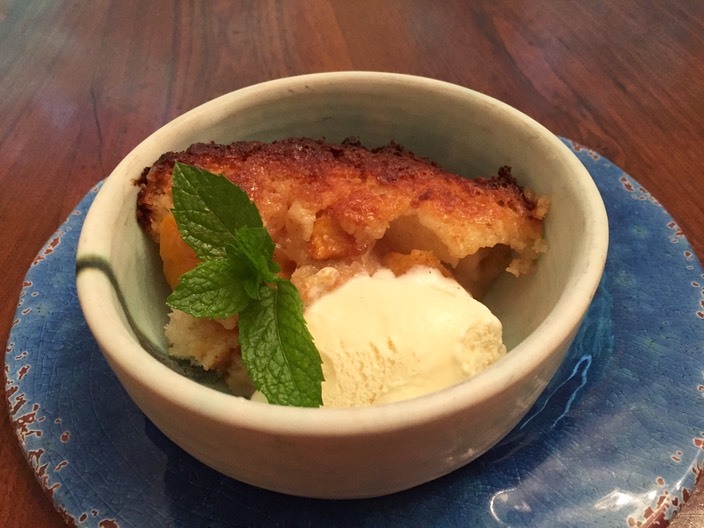 Bake the cobbler for 40 minutes or until the top is lightly browned and the batter is set.